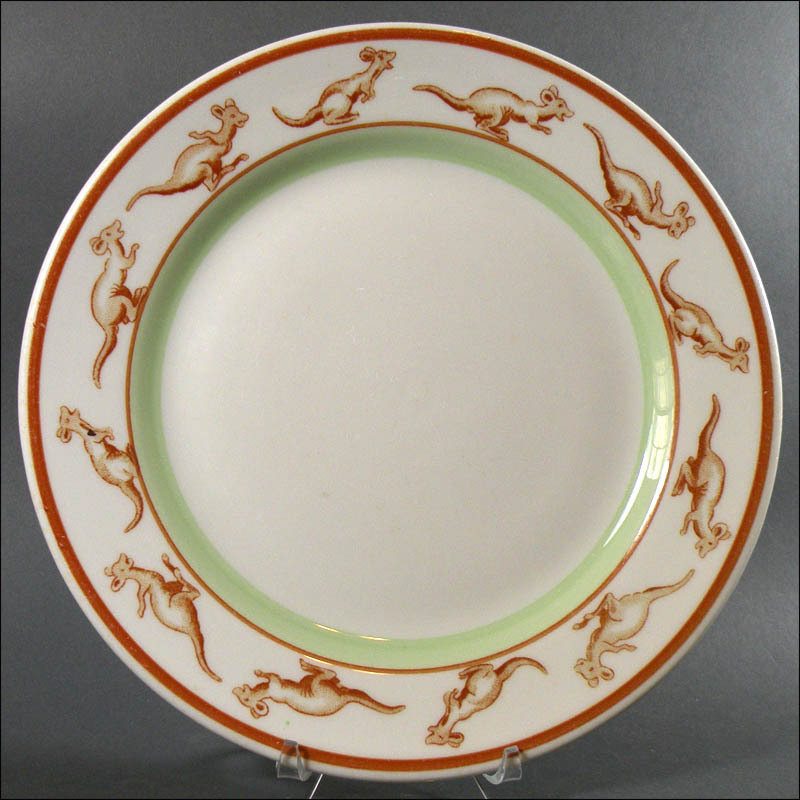 As you can see by this backstamp, it is not known for sure who the manufacturer of this whimsical kangaroo plate was. Click here to see the same pattern, with Carr backstamp, in the West Virginia collection. We know, therefore, that it was made by Carr in 1951, whether as an order or as a sample. 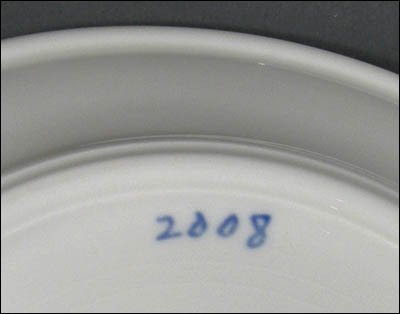 The 2008 backstamp on this plate looks like a Carr sample, which is why we're including it with the question mark. What is known is that it is a pattern that rarely shows up for sale. We can confirm from pieces we own that it was made as well by Warwick as well as Sterling China, most likely during the transition over from Scammell China. We have searched and searched for where this pattern was used and believe now that it was ordered by the Down Under Cafe that opened in 1946 in Rockefeller Center in New York City. By that theory, Warwick would have been the first supplier, followed by Carr when it acquired Warwick's patterns, and when Carr went out of business, subsequent orders went to Sterling. So we have lots of questions and not too many answers, but we love this pattern and continue to search for information!